Listen to the sweet sound of Totoro's band! 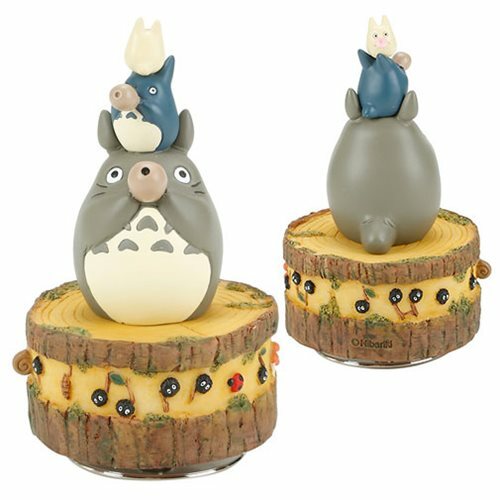 This enchanting music box plays the catchy and famous My Neighbor Totoro theme song from the film by Studio Ghibli and Hayao Miyazaki! Measures 8-inches tall x 4 1/2-inches in diameter. Ages 15 and up.